We are drawn in this season of Lent to reflecting on God’s redeeming work within us. “Remember that you are dust and to dust you will return.” Not because God thinks so little of us but because he is inviting us to rest in his love and care. God has certainly opened an invitation for all of us at Granite Springs Church to trust him as we say goodbye to our beloved Director of Visitation and Care, Pelusa and her husband Dan, as they move to Lexington, Kentucky for Dan to begin his work as a chaplain. Granite Springs Blog recently sat down with both Pelusa and Dan to talk about their transition. 1) During Lent, we’ve talked a lot about God’s care toward us. How have you seen evidence of this as you made the decision to move? We have seen evidence of God’s care during our big transition in marvelous ways. We experienced God’s goodness as we are sent-off to serve with the blessings from all of those at Granite Springs. God comforts all of us while we experience mixed emotions of sadness for the departure and excitement for the future! We have seen God’s goodness, faithfulness, and guidance as we delight in the season we have had together as part of this church and recall fond memories. We see God’s grace in this transition through moving logistics, preparation for new work, peace in the depth of our hearts, and assurance of his protection in this pilgrimage. We have seen God’s love and care through the kind words, moments of embrace, assistance, and prayers of all of our friends at Granite Springs. 2) Are there any Psalms in particular that have stuck out to you during this season of transition that you would recommend to others? I would recommend reading through these Psalms that remind us of God’s care for his people. 3) What are a few of the ways you are hoping to serve and partner with God in his redeeming work once you are in Kentucky? We hope to serve and partner with God in a variety of ways. Especially through times of suffering and despair, we desire that our presence and attentive listening may help provide competent and compassionate spiritual care for others. May God use us to help bring comfort and health—physically, intellectually, emotionally, and spiritually. May God bless our ministry as we serve together in Kentucky. 4) How can we as a community pray for you? As we continue this journey together, please pray that we may have God’s wisdom, protection, and guidance, and that through us he may touch the hearts of those we will serve in Kentucky. Please pray that Dan will be effective in his VA chaplaincy work for the veterans who have given so much for our great nation. 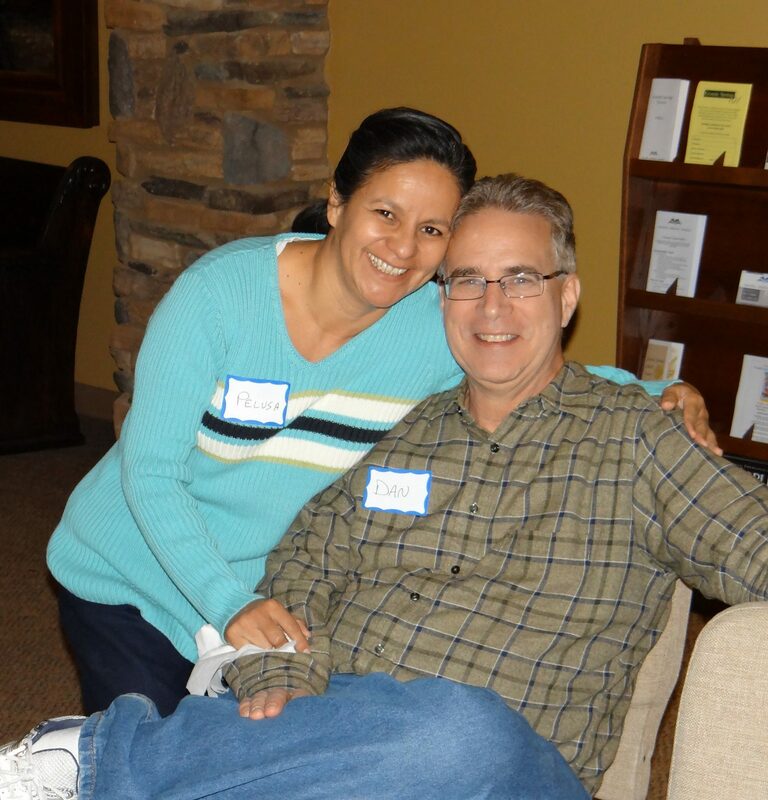 Thank you Dan and Pelusa for all of the love you have graciously given to our church. Your spirit of hospitality and compassion is deeply embedded into each one of us because of your examples. You will be so missed!